Frangiosi Chocolate is a specialized store in fine chocolates delivered throughout center west region in Brazil. Its products are carefully selected, reaching a remarkably different result. 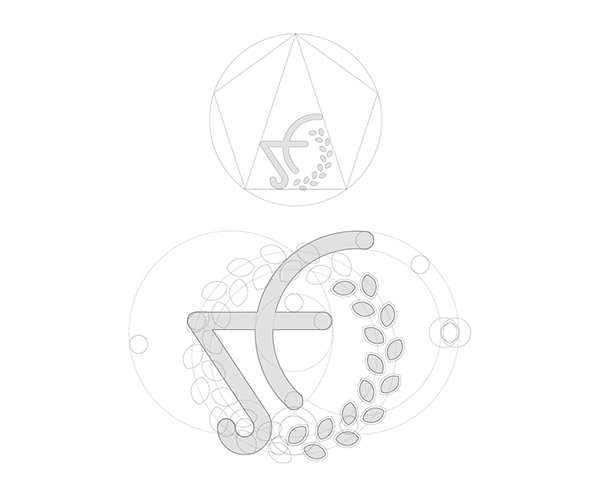 The Frangiosi branding was through a thorough market and public research, resulting in an elegant and almost sacred symbol, transmiting passion with extreme lightness. Refers to the implicit poetry in craftsmanship, regardless of the segment to be followed, cacao and nature, and remembering childhood with delicious candy from children's parties. The symbol is carried within a golden ratio, giving balance the result. The choice of Gotham font for the types was due to the elegance and ease of reading and absence the serifs that could cause an aspect above of purchasing power standards. Adjustments in some letters were needed for a complete harmony of the brand. Colors make direct reference to pure chocolate, the elegance and care of fine chocolates, the strong and distinctive flavor of white chocolate as well the natural and healthy products. What's your favorite? White, milk, semisweet? It doesn't matter! Chocolate is more than a food, it's a passion! And it is because of this passion that comes from a refined choice of ingredient, the conquest chocolate lovers around the world. Chocolate is like music, like poetry. It leads us to touch, brings memories and causes that feeling of absolute pleasure. How would your life be without chocolate? Would you suffer? It would not be living. The Frangiosi branding was through a thorough market and public research, resulting in an elegant and almost sacred symbol, conveying passion with extreme lightness. Refers to the implicit poetry in craftsmanship, regardless of the segment to be followed, cacao and nature, and remembering childhood with delicious candy from children's parties. The symbol is carried within a golden ratio, giving balance the result.